The Surface Water Quality Bureau is beginning preparations for the next Triennial Review of New Mexico’s Surface Water Quality Standards. Such a review must be conducted periodically as required by the federal Clean Water Act and EPA regulations. The public is invited to identify issues of concern in the standards and to propose revisions for consideration. Please note that this is the scoping phase of the Triennial Review preparations; there will be opportunities for public comment on specific proposals at a later date. Revisions to segment-specific standards to apply appropriate protections for existing and designated aquatic life uses, particularly in the southern part of New Mexico. Procedures to allow temporary site-specific standards to be proposed, adopted, and implemented. Updates to aquatic life, primary contact recreation and wildlife habitat criteria based on EPA’s most recent recommendations. Listing of unclassified waters determined to be ephemeral waters (20.6.4.97 NMAC) pursuant to Subsection C of Section 20.6.4.15 NMAC. Conduct review of waters designated with limited aquatic life and secondary contact uses to ensure these designations are still correct. Revisions to clarify applicability of criteria or to correct grammatical errors. 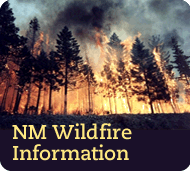 http://www.nmenv.state.nm.us/swqb/Standards. Additional information about water quality in general is available on the Surface Water Quality Bureau’s website: http://www.nmenv.state.nm.us/swqb.